Sales of Blu-ray Discs are up again; almost double those of last year. Another week, another sales record. 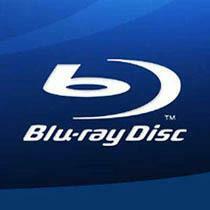 While DVD sales are down 10 percent from last year, Blu-ray sales are up to $45 million. That’s 89.17 percent over last year’s numbers; nearly twice the amount as last year. Blu-rays still don’t make up the bulk of sales, but they account for an impressive 16 percent. DVD revenue still sits at an impressive $236.73 million. One area of note is that the increase in Blu-ray sales didn’t make up for the decrease in DVD sales. Packaged media in general was down 2.27 percent. We’re past the format wars and past the “Will Blu-ray survive?” phase, so it’s hard to get really excited about sales numbers. There’s no one around nay-saying, so all we can really do is sit back and rest comfortably in the fact that more and more people are enjoying real high definition content.